I read several reviews for this book and knew of all the hype, but I still didn’t fully know what to expect from it. As you can see above, it blends genres, which I love. 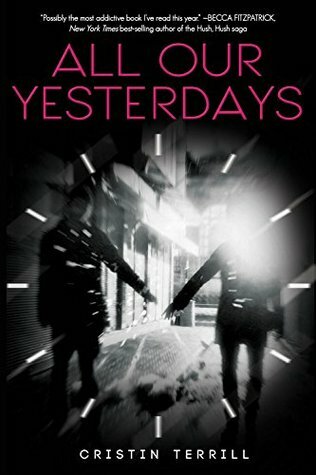 The book follows two timelines, a previous timeline that reads like a contemporary-turned-thriller, and a later timeline that reads like a sci-fi with just a taste of dystopia (but don’t let that scare your dystopia-weary soul, because I promise it’s not like another rehash of Divergent or anything). 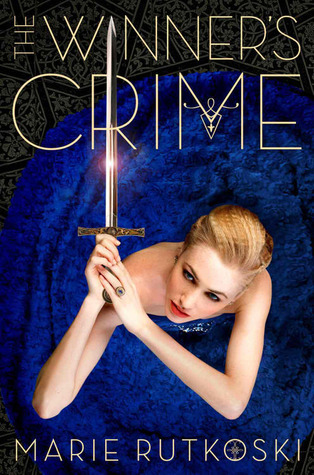 The plot was great, the characterization interesting, and I just loved seeing how everything weaved together. And the way time travel was handled in this book was well-done. I will say that while I thought the ending was really great and fitting, it made me raise my eyebrow a little like the Fringe finale, where I was questioning how exactly that could have happened that way, but I do forgive it because I think it was the right ending. I really enjoyed this one and only had a few minor issues with it. However, for some reason this one doesn’t really stick to as a favorite that will stand the test of time, so it’s not quite a 5 star read, but it was definitely worthwhile. I really enjoyed The Winner’s Curse, and while I didn’t love this one as much, I still enjoyed it a good bit! I admit, I’m suffering a bit from book amnesia on this one since I have waited a while to review it, but I do remember the twisty mind games that I enjoyed in the first book continuing through this one, though it did play out a bit differently. It’s more of Kestrel trying to tiptoe around the emperor and not reveal her hand to him, rather than her manipulating situations. My biggest complaint about the book is that I wanted more of the emperor’s son, who I actually really liked and would have liked to have seen more friendship between him and Kestrel. I was also very sad about how things turned out with Jessi and Ronan, but I’m not saying Rutkoski made the wrong choices about them because sadly, I don’t think she did. I just liked them in the first book and hated to see how they acted in the second. I think I found the romance between Kestrel and Arin a little more interesting this time around, but I’m actually still not a super hard shipper for them. But the ending definitely left me intrigued for the last book and to see how it all plays out. I don’t know what I can say about this book. There is so much heartache, so many surprises, an adorable and perfect dance scene with Vin and Elend, and the ending is just… WOW. 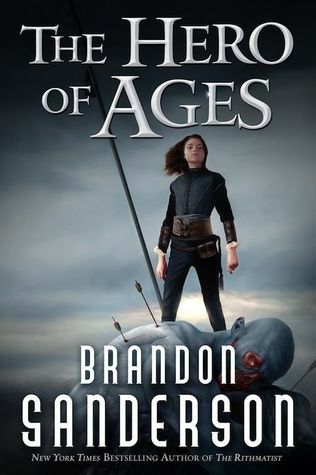 I think Brandon Sanderson is a master when it comes to endings (well, writing in general really). I was so floored by how it all played out, how it simultaneously ripped my heart out and crushed me and made me kind of angry to being so perfect and what it needed to be. I mean seriously, how does that happen?! Also, I think every question I had about this world and the characters was answered. So yeah, if you have any interest in these books, read them. I enjoy the movie adaptation of this book, but I did not expect for the book to actually line up with so much of the movie! 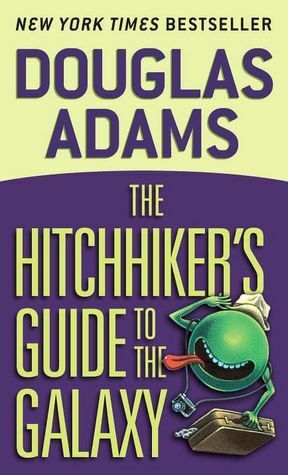 There are a few things I like better about the book, and a few things I like better about the movie, but overall this book is a fun romp through the galaxy that makes you think of improbable possibilities. I will say that the book ends much more abruptly than the movie, without a really nice wrap-up, and is clear you are supposed to continue on with the next book, which I imagine I will do one day! Content Rating: Pretty clean. I think there were one or two mild swear words. Even though I didn’t think All Fall Down was perfect, I was so excited by the prospect of reading more Ally Carter after it that I immediately borrowed the first Gallagher Girl book from the library. It was… fine, but a bit of a let-down after All Fall Down. It was more fluffy and more focused on the romance, and I just wanted to know more about the spy school! (Minor spoiler in this paragraph) And here’s the thing: the romance was so perfectly sweet. Too perfectly sweet. I knew it was doomed. And I was still sad at the end to be proven right. It just felt worthless to read about this wonderful relationship that has to end because of circumstances. I know it’s realistic, but I’m reading a BOOK. Though I will say, I think the important point of this book is that Cammie makes a decision that will impact her future, and I hope to see this played out more if I read the other books in the series. I just would have liked to have seen her struggle through it more in this book. 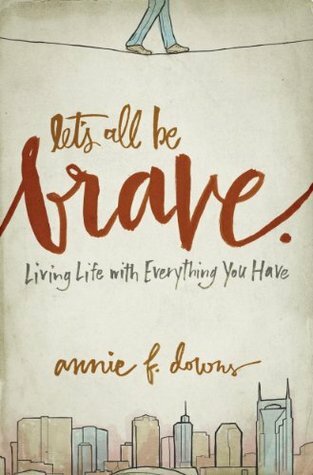 This was one of those books that I decided to read on a bit of a whim… I had heard good things about it, so when I saw it in a discount Christian bookstore, I wanted to see if it would be a good gift for high school graduates… and then loved it so much more than I anticipated. And the crazy thing is I bought 11 copies of this book for all the 2015 high school graduates I knew (10 girls from my small group I lead at church, and the 11th girl being my husband’s cousin) and I still don’t own my own copy! 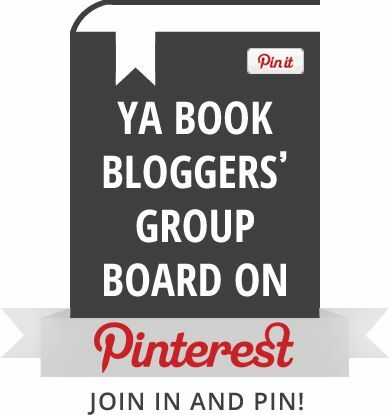 So what did I love so much about this book? Imagine sitting down to have coffee with a new friend and them just pouring out their heart to you, sharing with you wisdom and stories of pain and laughs curated throughout the years, and that is exactly what this book is like. It’s inspiring and grounded, not cheesy or cliche. If this even sounds remotely like something you might be interested in, check it out. Also, bonus points for all the Nashville references and cover! Content Guide: Some mild language and some violence. So I had pacing issues with this book. Like, the beginning of the book is just action, action, action, which I feel like should be a good thing, but for some reason I was a little bored. Also, I really don’t understand how David made some of the conclusions in this book that he did, but he’s better versed with his world than I am, so I guess that’s fine. Though this book dragged a little in some parts for me, I did enjoy getting to know David better, and the ending definitely made me interested in what happens next. 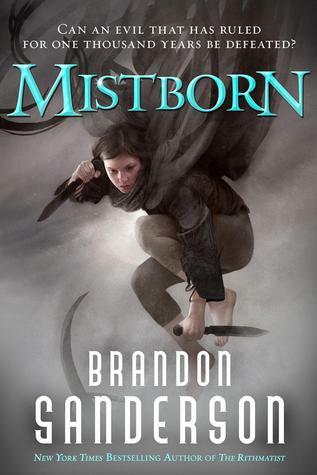 I love the characters of the Mistborn world. This time, the focus is largely on Vin, Elend, and I would say Sazed, all of whom I love very much. I was also thrilled to get more of Vin and Elend’s relationship, though sometimes I just wished Sanderson would make it a little more swoony. I had some mild pacing issues with this book as well, but I was never bored. I do feel like this book might end up feeling like a bridge between books one and two, which is quite something to say about a 700+ page book, but do I think it’s a very worthwhile bridge. I think my biggest problem with this book is I don’t know when the climax was. I mean, the battle felt a little too… anticlimactic, honestly. They’re dreading it the whole book and then it just happens and people even die and it’s just like… OK, so when am I getting the epic Sanderson climax? Now, the very, very end definitely throws a bit of a curve ball… not one that makes you hang off a cliff or anything, but it definitely makes me interested in book 3. 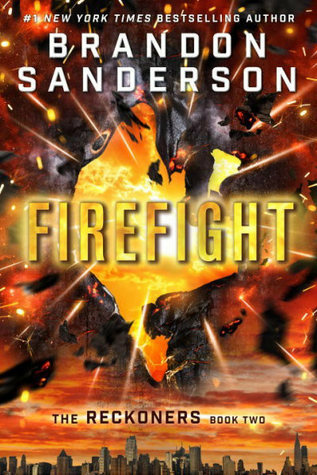 Of course, I would have been anyway, but you know, Brandon Sanderson wants to make sure I’m really REALLY interested in the next one. And did I mention I love Elend? Because I do. Wait, did you want more than that? 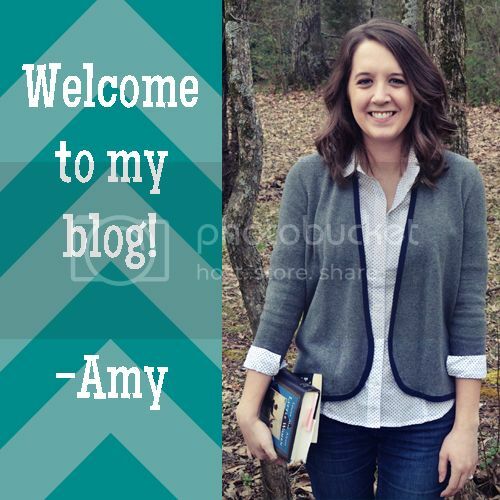 You want to know my thoughts on the plots, the characters, the world, be convinced that you should read this? Fine. I’ll oblige. Here’s what you need to know up front: This is 600+ pages of fantasy goodness. This is not for everyone, but if that doesn’t intimidate you, or at least you’re open to the idea, then this book probably is for you. One of my first inclinations of the book after I had started reading was that the story is a bit of a slow burn. Let me emphasize: it’s not a slow, drawn-out beginning with massive info dump and waiting for the story to begin. But the story takes its time to develop. The characters take time to develop. That’s part of what makes this story so worthwhile, because in the end it will impact you in ways a lesser developed story just could not have done. It’s all completely worth it and it’s never boring, even when things are moving slower. I never felt that Sanderson was just feeding me unnecessary filler. The book focuses mainly on Kelsier and Vin, both born as skaa (slaves, essentially), both gifted, but otherwise pretty different. Vin is a 16 year old girl; Kelsier is a 30-something year old man. Kelsier has spent much of his adult life leading people; Vin just tries to scrape by unnoticed and unharmed. Kelsier has developed his abilities; Vin is only vaguely aware of hers. But when the two meet, Kelsier recruits Vin and takes her under his wing, and though she believes he intends to use her for whatever purpose he has and then dispose her, she slowly learns to trust him and his friends as they work and train together. After a while, we also get introduced to my favorite character ELEND! It seems I have a thing for young noblemen who are a little defiant (Prince Kai in The Lunar Chronicles, Kiggs in Seraphina, Nikkolai in the Grisha trilogy…), but seriously, he brings books to balls and reads them there! What is not to love about that? And his interactions with Vin are gold. In fact, my only complaint for this book is that I think the development between Elend and Vin ended up being a little rushed (which feels crazy to say about this book); they seem to go from flirtatious banter to relationship suddenly. Not that it was too soon, but there is no explanation that I recall about them talking outside the balls, so I don’t when they established things because suddenly it was like bam, they’re a couple. I just wanted more of those interactions, dang it. But hopefully there will be more in the next two books. By the way, just as a warning, not everything in the ending is happy. But the ending is still good and worth it, I promise. There are feels of all kinds in this book. So basically, if any of this sounds appealing to you at all, you should read it. I think you’ll love it. I know I’m glad I gave it a shot. And I’m happy to give my first read of 2015 5 stars! 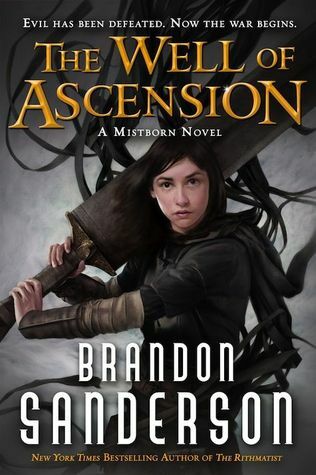 If you’re a Mistborn fan, feel free to gush in the comments!